Volt is Electrifying. A silver San Remo mask is hand painted with vibrant lightning strikes. Secures with an elastic band. Each mask is our original design and is decorated by hand in the USA. Volt is Electrifying. 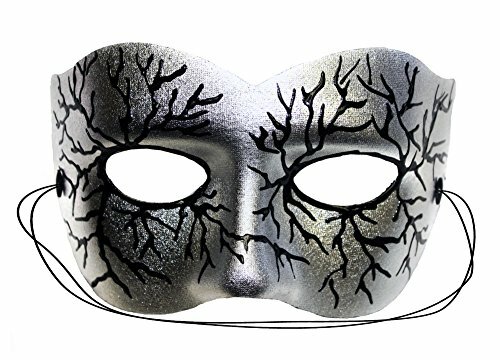 A silver San Remo mask is hand painted with vibrant lightning strikes. The high quality mask base is Imported from Italy. It is lightweight yet sturdy, firm but flexible, and lined with a soft fabric for extra wearing comfort. The mask secures with an adjustable elastic band. Each mask is carefully packed to arrive is great condition. If you have any questions about this product by Success Creations, contact us by completing and submitting the form below. If you are looking for a specif part number, please include it with your message.